This dress does look simple, but when worn one will look no less than a princess. The strapless evening gown with a nice netted overlay adds to the glam. The empire waist looks really charming with a nice belt which is contrast in color. 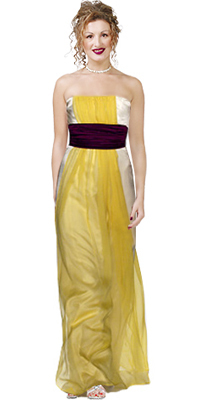 Fulfill your desires by buying this dreamy piece of evening dress.